New Improved Green Rubber Roller for the Roland Space Echo (Suits RE-101, 150, 201, 301, 501 & SRE-555). 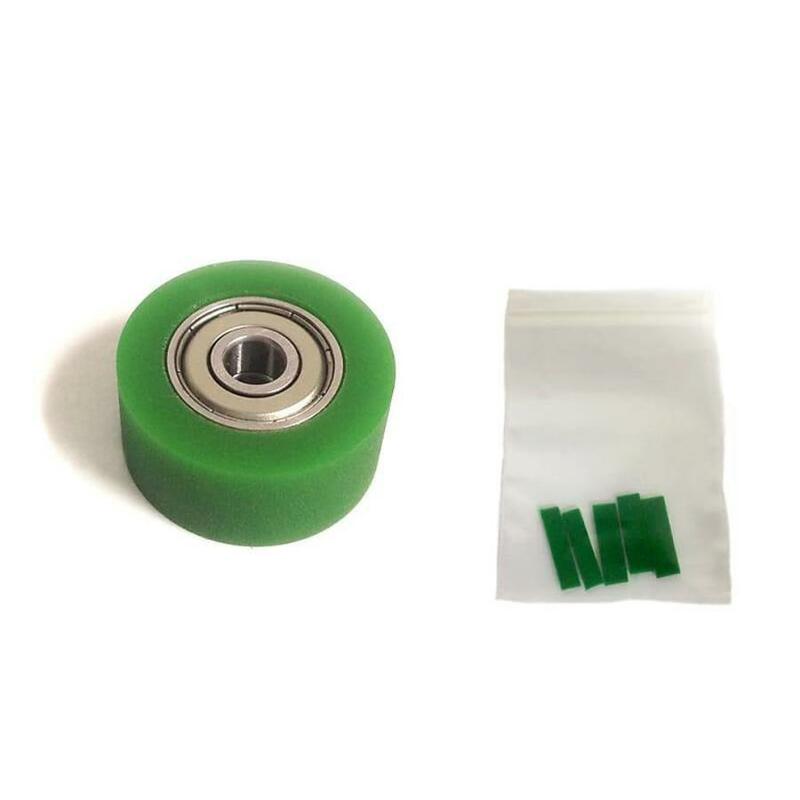 New improved Green Rubber Roller with Ultra High Quality sealed bearings that greatly increase motor life and reduce wow and flutter (pitch variation on echo repeats). The green colour looks great as well!!! The original pinch roller shafts (the shaft that the roller is attached to) become deformed over the years of use and this roller is unaffected by this. The original black rubber cap is no longer needed and will not fit on these rollers but they look awesome! Over time the rubber on the Space Echo pinch rollers disintegrate, turn hard or become sticky like tar which causes major problems for your echo unit and needs to be replaced. As the original Space Echo pinch rollers are no longer available we have had these pinch rollers manufactured to the exact specifications of the original. Install a new pinch roller and your Space Echo will love you for it.